Happy Thursday friends! 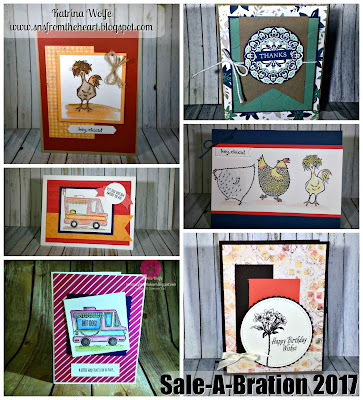 I wanted to remind you that we are in the final hours of Sale-a-bration 2017! Can you believe it? I can't that's for sure. It kind of makes me sad in a way because I LOVE the product selection we had for free for every $50 spent. And I don't know about you, but I don't think I have EVER placed an order for less than $50! So, Sale-a-bration is my time to "stock up" and get bonuses just for buying what I need! It also makes me sad when I think of those of you who missed the opportunity to take advantage of all of this cool and awesome stuff! So, that's why I am here to remind you that it's almost over so you won't miss out on these great deals. But, although the end of Sale-A-Bration makes me sad, I also start getting excited. What am I getting excited about you ask? Well, I am getting excited that the new Annual catalog will be revealed to us demonstrators in April! Those demonstrators that are able to attend the On Stage event will get the first look on April 6 or 8th, depending on if your going to Amsterdam or attending a local event, and the rest of us will see it April 10th. Then, when we place our fist demo pre-order in May, they will include our copy of the catalog.And I LOVE getting the new catalog because there is always something, or should I say MANY new things to get excited about. Stampin' Up! has never disappointed so I always look forward to the new catalog. This brings me to my next PSA- joining SU! 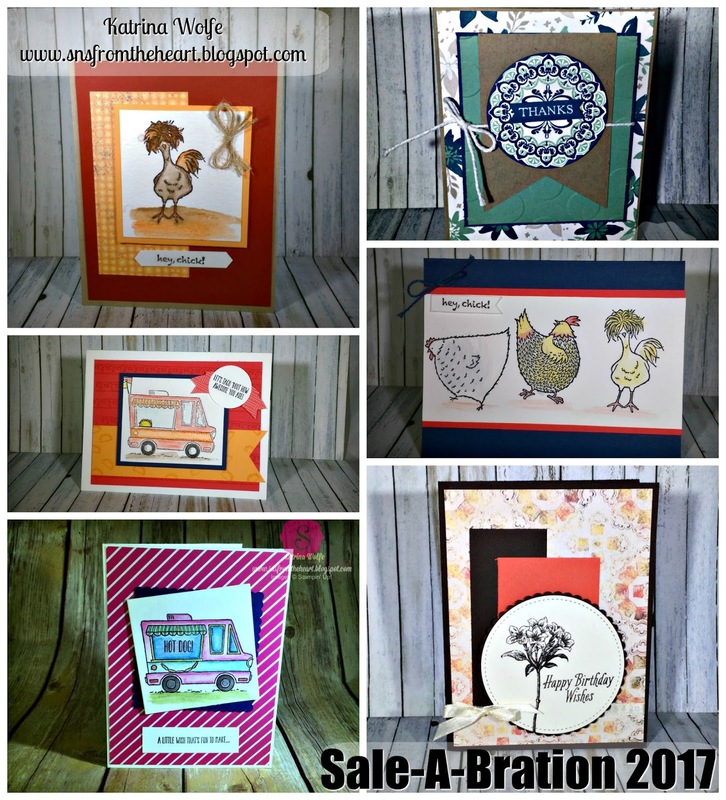 Sale-A-Bration is the PERFECT time to join! Not only do you get to select the normal $125 in product for just $99 +tax and and FREE shipping, but you also get to select 2 additional FREE stamp sets of your choice! There is NO dollar limit on the stamp sets you can choose! And if that wasn't awesome enough, you also get access to all of the demonstrator training, ideas and information, access to an exclusive Demonstrator website/usergroup filled with ideas and a wealth of information. You will also receive the quarterly Demonstrator Magazine filled with ideas, patterns, and business training. You will get access to the new up coming catalog on April 10th and you will be able to pre-order select items from said catalog in May! And, for joining my team, you will also get access to my Demo Facebook group, "Inky Fingers, Warm Hearts" where you will receive updates and training and other fun things to come. And the best part, there is NO obligation beyond taking advantage of grabbing the starter kit! There isn't any SU! police, calling you to tell you you need to sell or buy, so YOU get to decide how and even if you want a business, or just buy at a discount or just get the kit and call it a day. No matter what, you have $125 in amazing product and access to amazing resources for at least 3 months for $99. If you choose to not sell, or not buy to maintain demonstrator status, after the 3 months, you will lose your access to the demo resources, however, you will still have amazing product in your hands! Something to think about! And if you choose to take advantage of this opportunity, just click "join my team" in the bar up above. In the meantime, happy stamping! Sweet Treats in a Bag! When it Snows Make a Medallion!